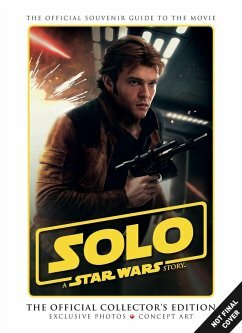 In this guide to the all-new standalone Star Wars movie, Solo: A Star Wars Story, get the full lowdown on the brand new movie, meet the characters, including familiar acquaintances and all-new cast members, and learn about the new locations, spaceships, weapons, props and more. Also includes interviews with the cast and crew, fantastic images and production art. An essential companion to the film and for all fans of the saga!